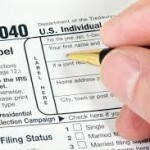 United Way offers free tax preparation services at 27 locations throughout King County from now until April 20th. Households making under $64,000 can have their taxes prepared plus they can get connected to other community resources and public benefits. Locations can be found throughout King County with daytime, evening, and weekend hours available. No appointments are needed. To find a location near you, languages available, a list of what to bring, and other details, visit United Way’s website at www.freetaxexperts.org or call 2-1-1. Downstairs, inside the library, is a small number of free printed basic tax forms and instruction booklets that patrons can take. Librarians can print additional forms for 15 cents per page if needed. Many of the links to pages, categories, and full blog posts show as a series of garbled characters on my mac. This is true in both chrome and safari and basically renders the site unusable. Is there any way you can fix this? I’m interested in learning more about the community and trying to advocate for improved sidewalks, particularly along 15th on the W side of the street between Northgate and 115th. Thanks! We’ve noticed this. Usually if you try a second time it clears up. We will try to fix it. Sorry for the garble.